Technique Club | Coming Soon! Do you love learning new techniques? Would you like a way to document and organize the techniques you know? If so you may be interested in the new series of Technique Classes I'll be offering soon. If you'd like to be notified when more details are available, click on the button below and leave a comment with the text "Technique Club Interest". I will be in touch as soon as more information is available. Add Me To the Technique Club Interest List! 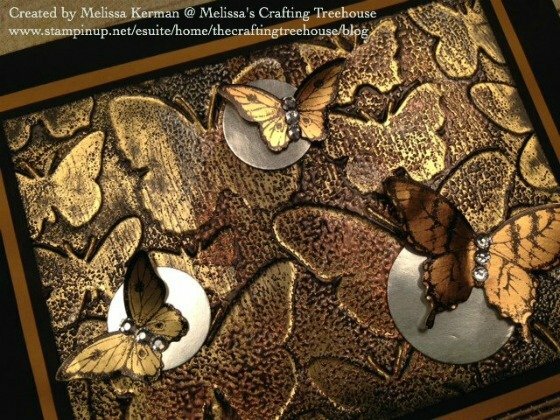 Do you enjoy the projects you see on my blog and wish you could make them too? Would you like to come to in-person classes but don't live nearby? Would you like maximum flexibility to get kits whenever you desire? If you answered "yes" to any or all of these questions then the Free Card Kits Program could be perfect for you! Click on the button below to find out all the details and how you can get free Classes-To-Go! 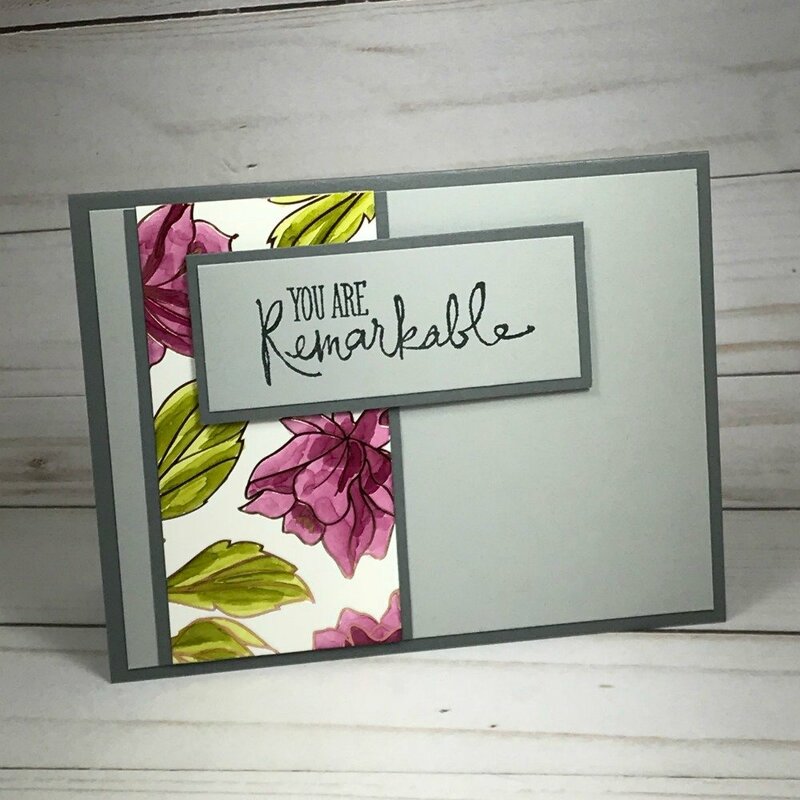 Scroll to the bottom of the page, to see some examples of projects made by customers, using project kits, like those offered through the Free Card Kits Program. 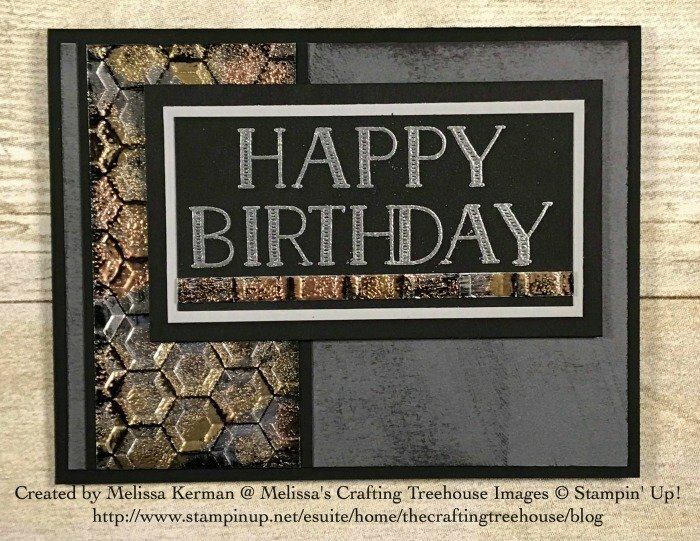 In person, paper crafting classes are offered every other month with multiple times offered. Both Club Members and interested community members are invited to attend these events. I currently have three ongoing, In-Person Club Groups. 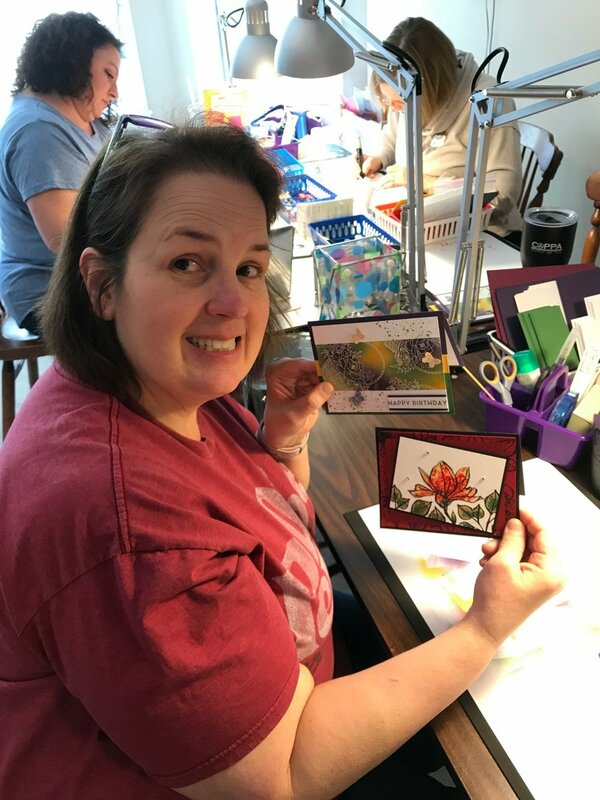 Club members attend paper crafting classes to make projects, socialize and learn new paper crafting techniques. Once during the club cycle, each member gets to be the hostess, and earn the hostess rewards. Check out all the details by clicking on the button below. Get all the benefits of an In-Person Club in a virtual format including a Free Class-To-Go with project kits, pdf documents, video tutorials and additional support as needed. Club members also receive Hostess Benefits once during the club cycle and exclusive membership in my Stamp Club VIP Facebook Page. To see a few past club projects check out the videos below. I'm currently offering two Classes-To-Go that feature my very own, Impressions of Tarnished Foil Technique. 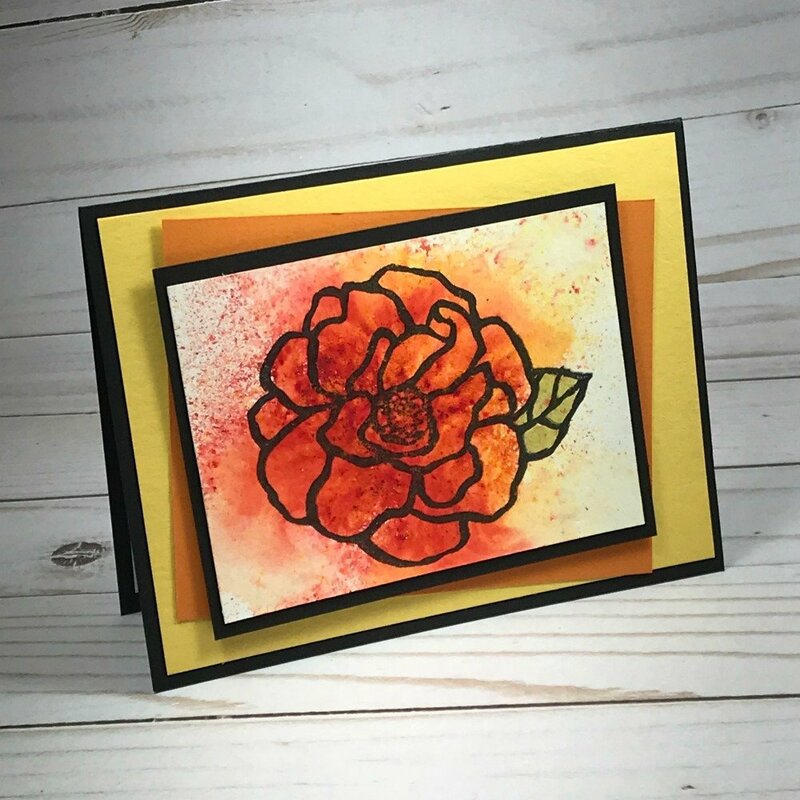 This technique produces a stunning effect, achieved with layers of dry and heat embossing. Class projects, video tutorials and supporting documents are exclusive offerings that cannot be found anywhere else! To learn more about these two Classes-To-Go. 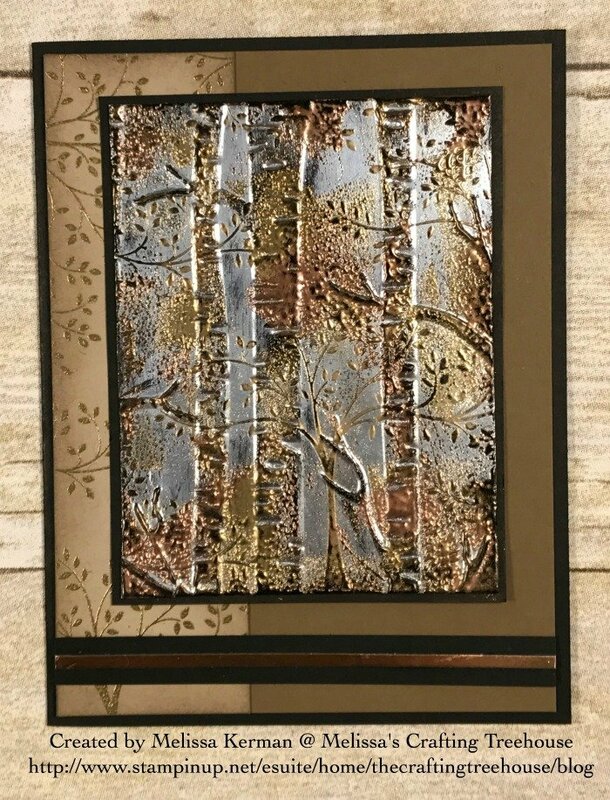 Learn more about the Impressions of Tarnished Foil Technique. 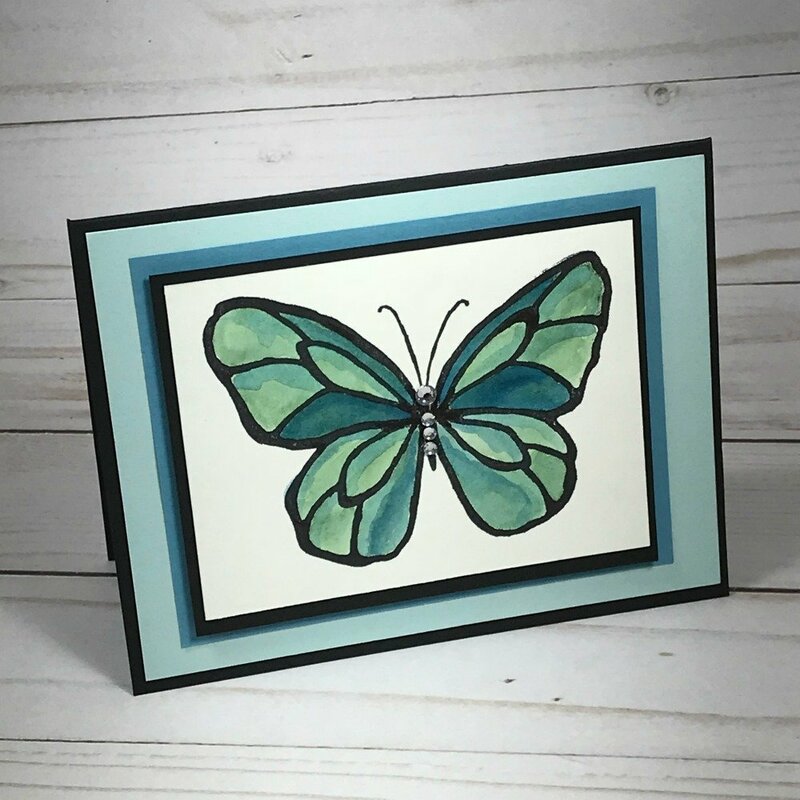 This tutorial provides step by step instructions for a project made with the Fluttering embossing folder. It also includes a section with the pros and cons of using aluminum foil v.s. foil sheets with the technique. Check out my other Classes-To-Go, that are currently available. Check back periodically. Offerings change throughout the year. 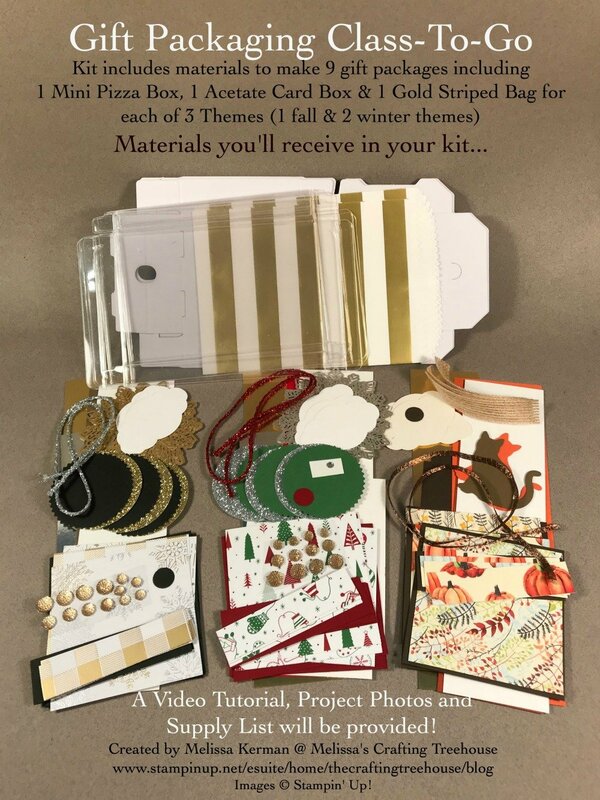 This kit includes materials to make 9 gift packages including 1 Mini Pizza Box, 1 Acetate Box and 1 Gold Striped Bag for each of 3 Themes (1 fall & 2 winter themes). A Video Tutorial, Project Photos and Supply List will be provided. Purchase this kit for $35 (includes shipping) or get it for FREE when you spend $60 in my Online Store using the current hostess code. Project kits available while supplies last! When you purchase this class, you'll receive an email within 2 business days, with access to the electronic materials. Shop Now and get this class FREE! Place your merchandise order of $100 or more using the current hostess code. Then click HERE to pay for shipping for your kits. You'll receive an email within 2 business days, with access to the electronic materials. "I remember saying I didn't like the stamps for this class...well...call me wrong on that one. You did a fantastic job making them into some really nice Christmas cards. I have watched about half the video already and love, love, love the cards and the way you teach. I'm really excited to put these together. Thanks for the packet of materials, the video and the pdf...you did a GRRREAT job. Going to start on them today." I was a little unsure about the techniques but I am so glad that I took this class. This is usually not my style but the way you presented left a lot of room for us to do as much or as little to embellish. You are a phenomenal instructor! 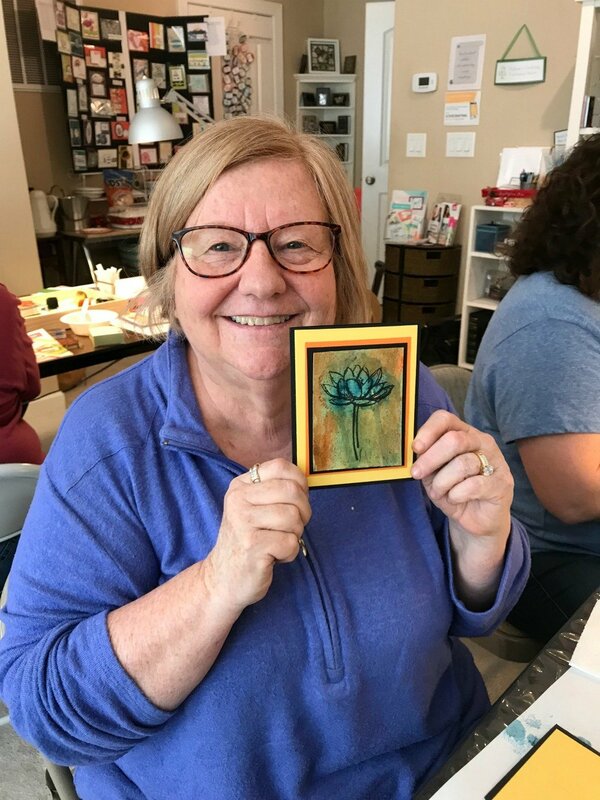 Live Class Participants... with their beautiful smiles and creations! Class-To-Go Participants... Got to make these projects too! These are some examples of projects made by some of my in person customers. 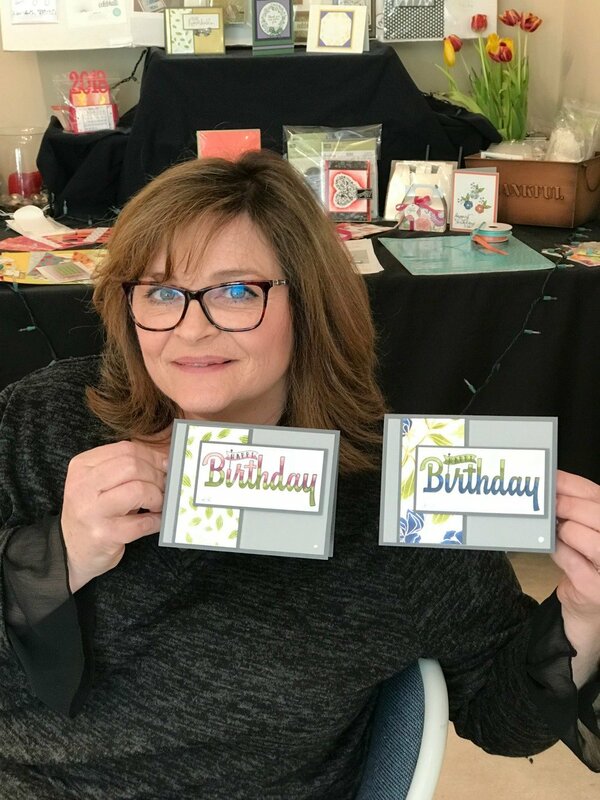 They used the same project kits offered through the Free Card Kit Program and Online Stamp Club. Participants had the option to choose among a few color schemes, for each of the three projects. It was very fun to see all the variations on these three basic designs! You're only seeing a small sampling of the projects made too! So much creativity and so much fun right?!!! Whether you're crafting on your own or taking one of my Online or In-Person classes... Create, play and find joy in each creative adventure! My Motto is... There are no mistakes just opportunities for other creative outcomes!